Hosting a party? Need a bar? Our range of portable bars are the perfect addition to your event. They look great and best of all are easily installed and moved. The bar includes under counter shelves for bottles and glassware. 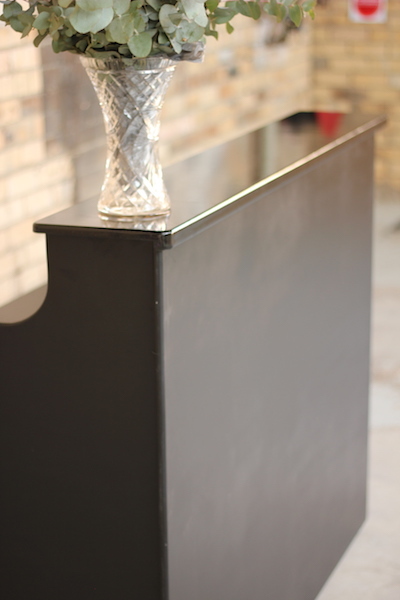 Made with timber, the classic black bar provides a timeless classy addition to your event. 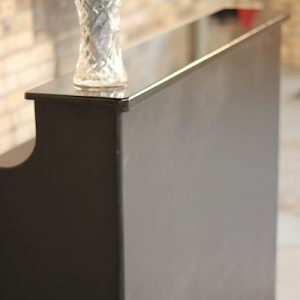 For a little touch of sparkle, the bar top is polished up to black boot bright shine.